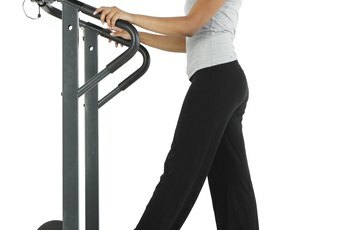 Stair climbing can give you a good lower-body workout. From flabby thighs to cellulite, women can be especially critical of their bodies from the waist down. If you're like a lot of women, you're looking for a good workout to solve some of your lower-body issues. There are many lower-body workouts that can help you tone and burn fat without building too much bulk. Weight on your lower body is not associated with the same health risks that come with excess weight around your waistline. Nevertheless, it can take determination to keep your lower body in shape if this is where you naturally store fat. Your legs are your biggest muscle group, so getting them moving can have many benefits, including systemically burning fat. Trying new exercises can work new muscles while helping avoid those dreaded plateaus in fitness and weight loss. Stair climbing can give you an intense workout in a short amount of time and is easy to fit into your schedule if you use stairs at or near your home or office. 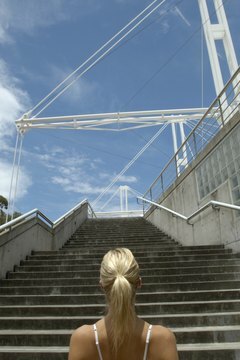 Stair climbing is a vigorous workout, so if you are a beginner, start slowly. Modify your workout to include breaks in between flights until you get accustomed to the intensity. 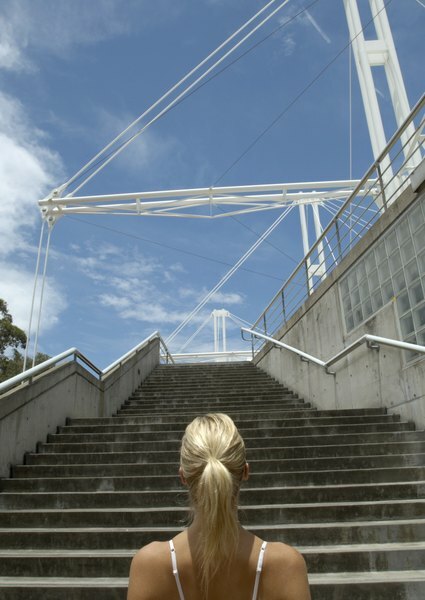 According to CalorieLab, a person weighing 150 pounds can burn 476 calories by climbing stairs for one hour. Although Ed Russell is credited with creating the mini trampoline back in 1938, it took years to gain popularity. In the more recent past, NASA has conducted studies showing the benefits of rebounding over running in young males. Today, many still tout rebounding as one of the best forms of exercise. Young and old alike have taken to this form of exercise. In addition to being a good lower-body workout, rebounding has stimulating effects on the lymph system, which can help increase detoxification. According to MayoClinic.com the elliptical is generally considered a low-impact form of exercise. If you have joint problems, using an elliptical may be a good way for you to get a lower-body workout without putting undue pressure on your knees, hips and back. By pedaling in reverse, you can get a more extensive calf and hamstring workout. Combining resistance and interval training can boost the results of your elliptical workout as well. Always consult your doctor before beginning a new exercise program. 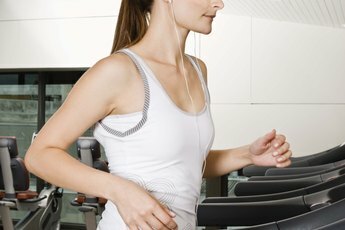 What Does the Elliptical Machine Help Slim Down in the Upper Body? 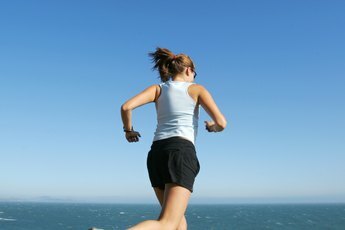 Does Jogging Strengthen Your Back Muscles?